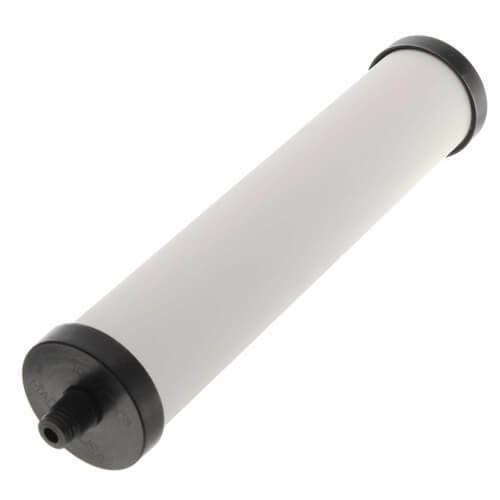 Cleanable filter element is designed to remove suspended solids, pathogenic bacteria, cysts, Chlorine, Mercury, Lead and VOC’s. In addition, it will improve taste and reduce trace contaminants. This filter element has been tested in accordance with NSF protocols for cyst, turbidity, particulates, and chlorine reduction (Class 1). The cartridges are based on a Ceramic pre-filter shell. Inside the ceramic shell is a post-filter block carbon insert which is manufactured by combining powdered carbon blends and zeolite to form a tightly packed molded block.